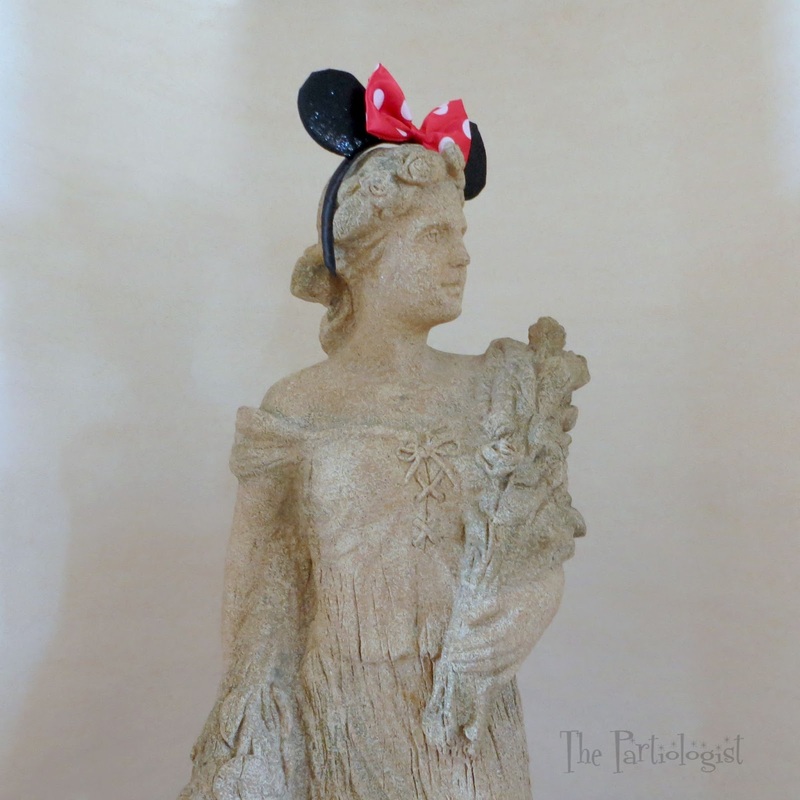 The Partiologist: DIY Disney Banner! And it's a 100% DISNEY! Welcome to my Sister's 60th Birthday Party! 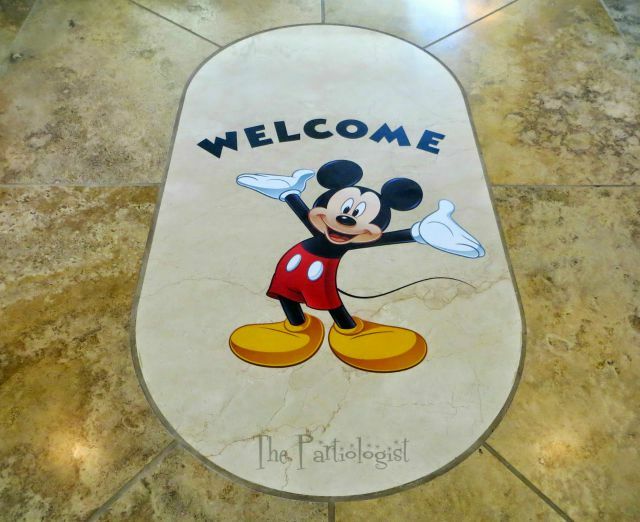 It was Mickey Mouse, a peel and stick wall art that I put on the entryway floor. I printed out the Welcome with a Disney Font Cartridge and my Cricut. 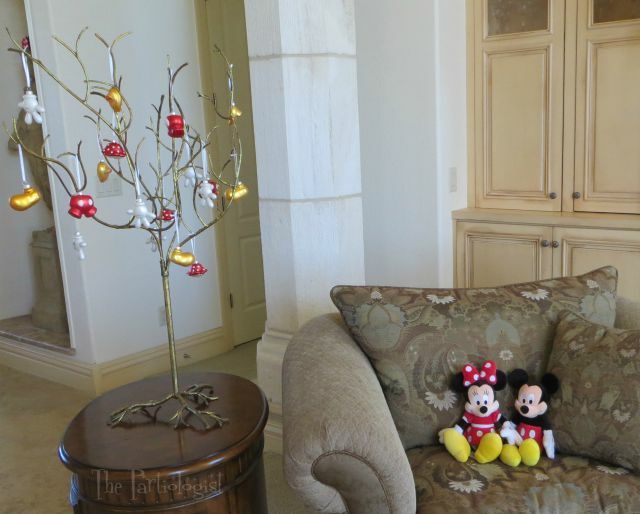 Minnie & Mickey relaxing a little before the guests arrived. Oh Mickey, you're so fine...oops wrong song. 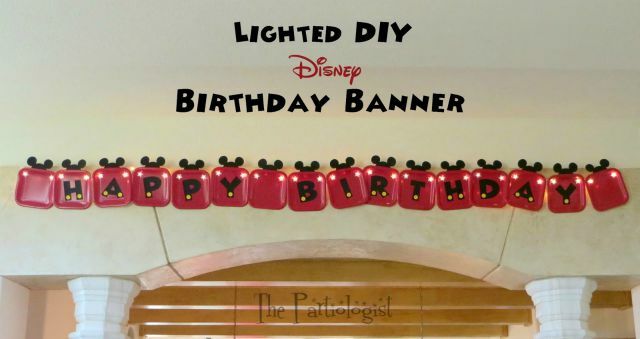 One of the first items of décor was the Birthday Banner. I made the banner with red square paper plates, Christmas lights and cardstock. After cutting the letters with my cricut, I hot glued them on each plate, then added yellow buttons which I punched out of cardstock. Using a letter opener, I poked a little hole in each corner, added a white star (punched out of white cardstock), topped each plate with black mouse ears. Then I added tiny white Christmas lights and hung them across the archway into my kitchen. You don't even know how excited I was when I found Disney ornaments last year at Target. I scooped them up and waited patiently until I could hang them on my tree. Featuring one of my sisters favorites, homemade animal crackers. Bake the cookies until very light golden brown, 10 - 15 minutes. Transfer the baking sheets to wire racks and let the cookies cool to room temperature. Makes about 20 cookies of each shape. I've got lots more magic to come! It's the Mouse Party House! How clever, to use plates to create a banner. I can't wait to see what's next! Thanks Beth - Using the plates were so much easier than cutting out a banner! Thank you Annette - are you one of the original mousketeers??? Awesome!! I love the banner and the crackers! Thanks Nicole, those crackers are one of my favorites! Seriously? Mickey and Minnie Animal Crackers!! I want them!! This party is awesome! That reminds me...animal crackers for breakfast?? Wish you could join me! 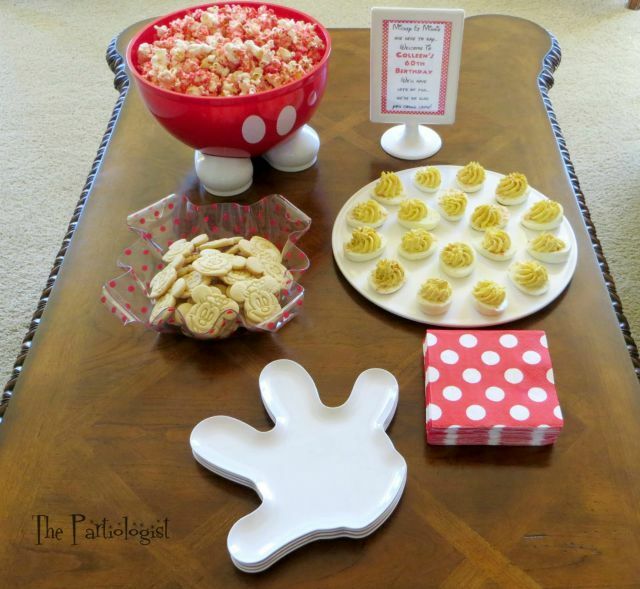 What a fantastic way to use the paper plates! I've seen the square ones used as backdrops, but this is the first time as a banner. It turned out great!! Thank you Michelle - I loved the way it turned out and how inexpensive it was! 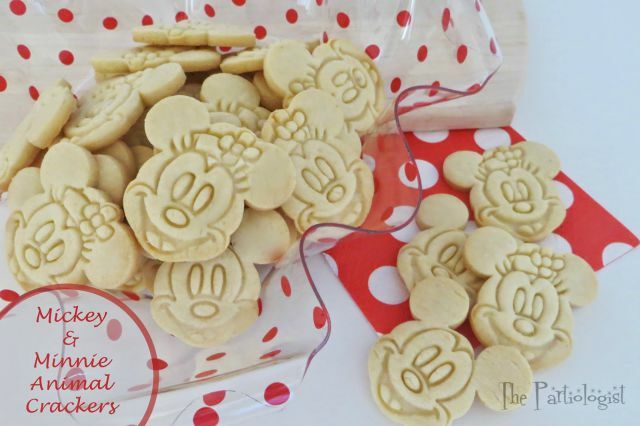 I adore the Mickey and Minnie imprint cookies; so darling! Thank you Sue, homemade animal crackers are the best!! Thanks for another wonderful project idea. Keep them coming! Thank you so much for the feature, I'll be sure to send more your way!